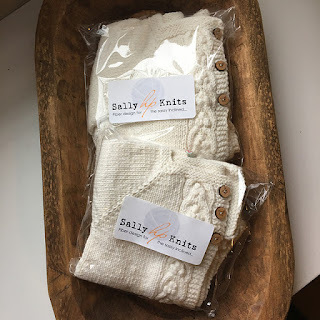 I love when I get custom orders for a project, and I was super flattered by a request from a lifestyle blogger I love to read, Rachel, of From Faye. I was hooked on her blog from the moment I read her post about getting comfortable with liking being a 'homemaker' while she was still blogging under the name Frugal Faye. She sent me a photo of a cardigan she loved and wanted two of them to create a capsule wardrobe for her girls. 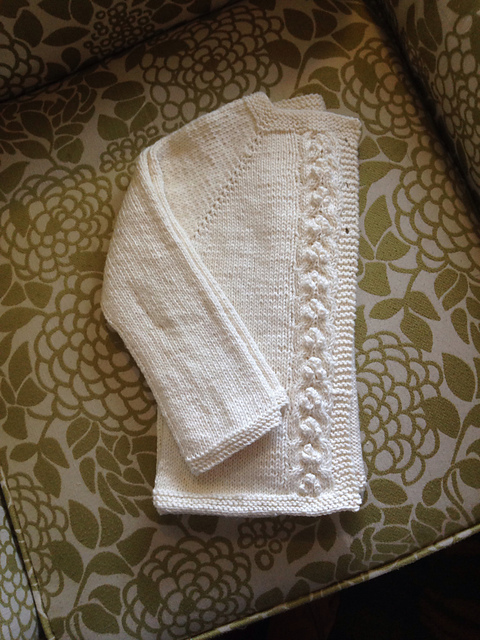 I found the pattern Rajani Cardigan by Kasia Lubinska and altered it to fit her needs. 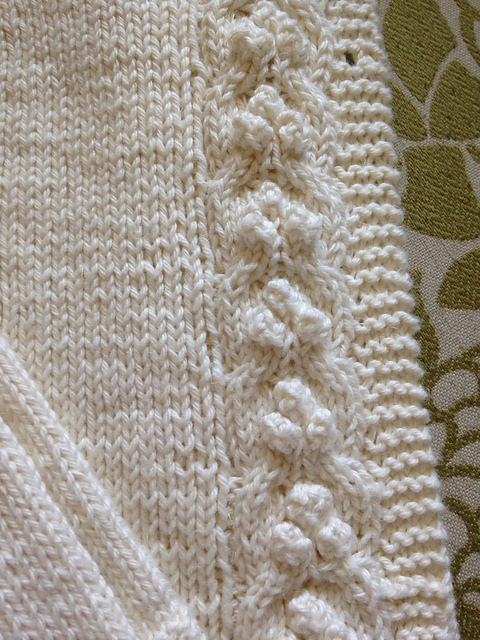 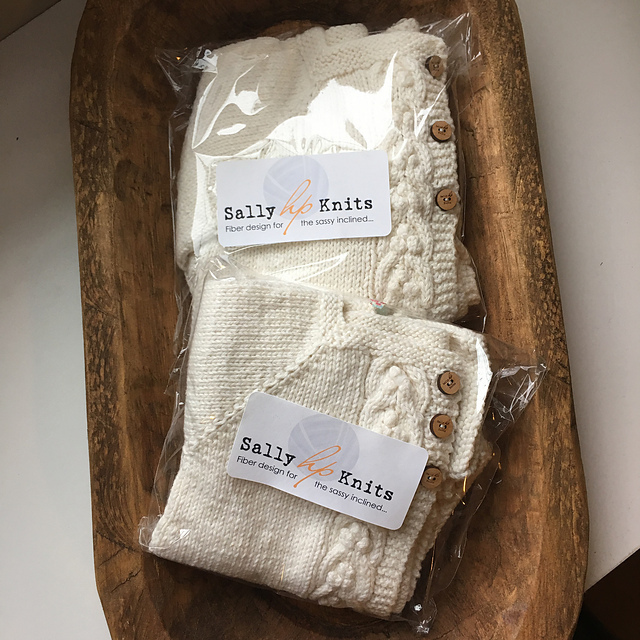 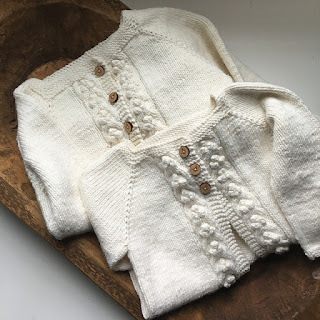 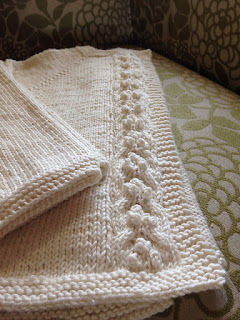 Knit from washable and soft CotLin by Knit Picks and embellished with wooden buttons bearing my logo that I had made a couple years ago, these simple creamy cardigans have a cable and bobble placket that makes them just a touch more special than your average sweater. 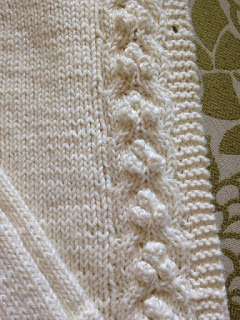 These were a touch more tedious than I anticipated only because I took for granted how accustomed I've become to (and love) knitting sweaters in the round, which doesn't translate to a cardigan, unless you steek it and I'm too chicken. 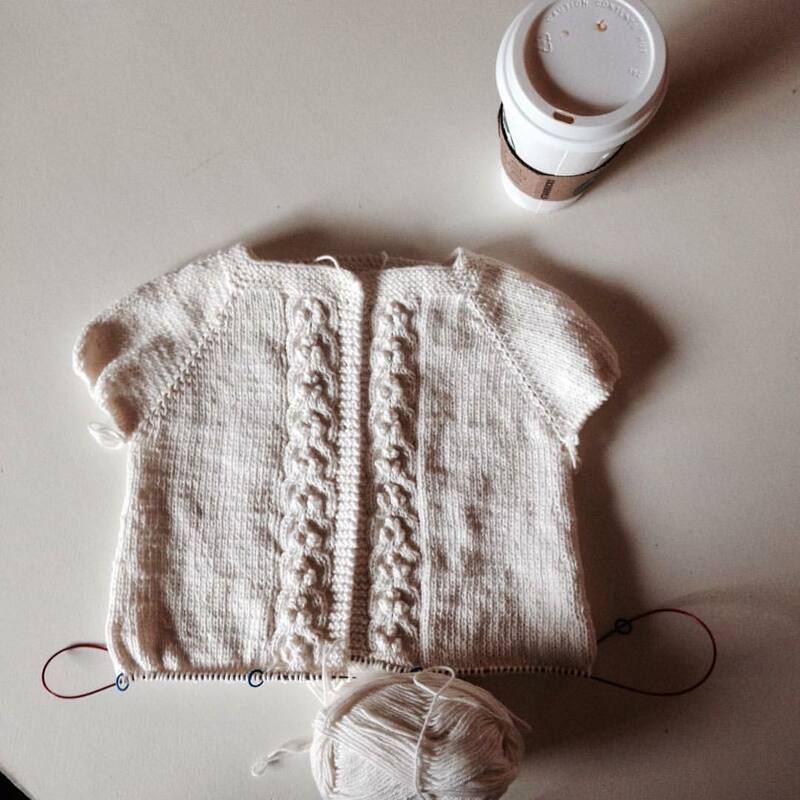 So, a lot of purling, and I've become a princess.